It wouldn’t be the holiday season without a calendar full of events, would it? From office parties to ladies-only parties to sparkly parties for two, ’tis the season to don your festive wear! But with all the gifts to be bought and stockings to fill, we’re always on the lookout for outfits with style + staying power that won’t break the bank. So…we’re going to let you guys in on our holiday fashion secret. It’s called high-low style and it’s changing the way we fill our closet. The idea is mixing high fashion with low priced items to fill out the look, and no one understands this concept better than…wait for it…Walmart.com! YES, really. Hear us out—did you know that Walmart.com carries premium brand shops from Lord & Taylor like Calvin Klein, Lucky and Tommy Hilfiger? 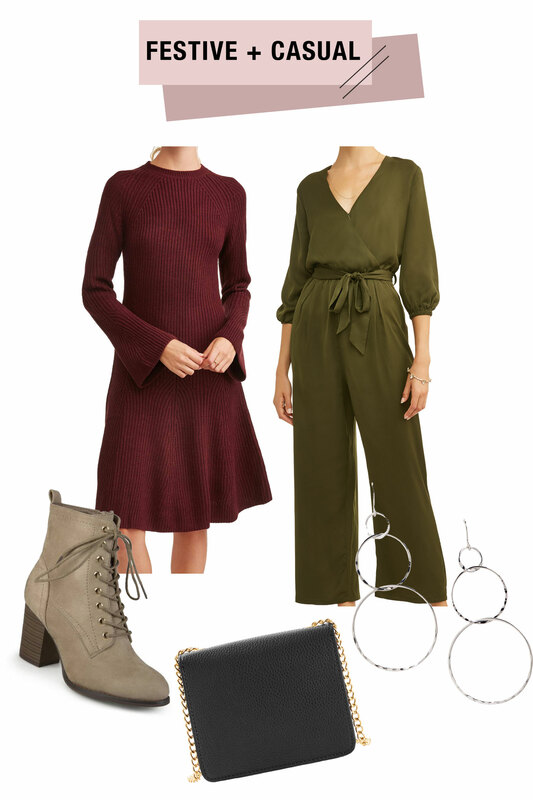 Mix that in with everyday shops like Maurices and high-low fashion is the easiest (and most affordable) way to get some seriously fresh looks for the holidays. And to make things even sweeter, Walmart.com is extending an extra 30% off items found in the Lord & Taylor Premium Brands Shop now through December 13th! We love shopping online and with their free 2-day shipping on so many items, it’s the perfect spot for last minute holiday shopping! Convinced yet? 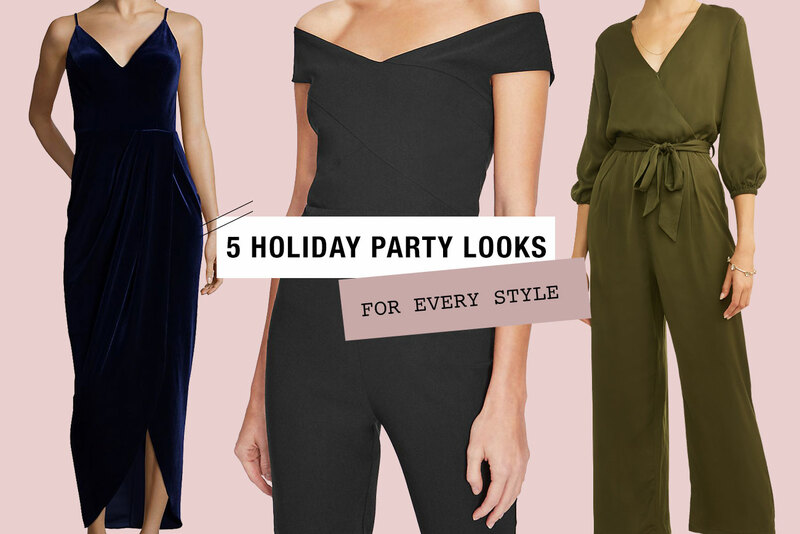 We put together five looks for your holiday parties that we’d rock—and you might be pleasantly surprised by what we’ve found…take a look! When you wanna look cute but comfort is key: Hard to choose between the cozy sweater dress and the flattering jumpsuit—so we went with both! It’s the perfect work-to-evening look for a chilly night out with friends. When you’re a summer girl who also loves holiday magic: This dress and these booties are a match made in heaven. And us California girls kinda love the fact that this look could transition from eggnog to margarita! 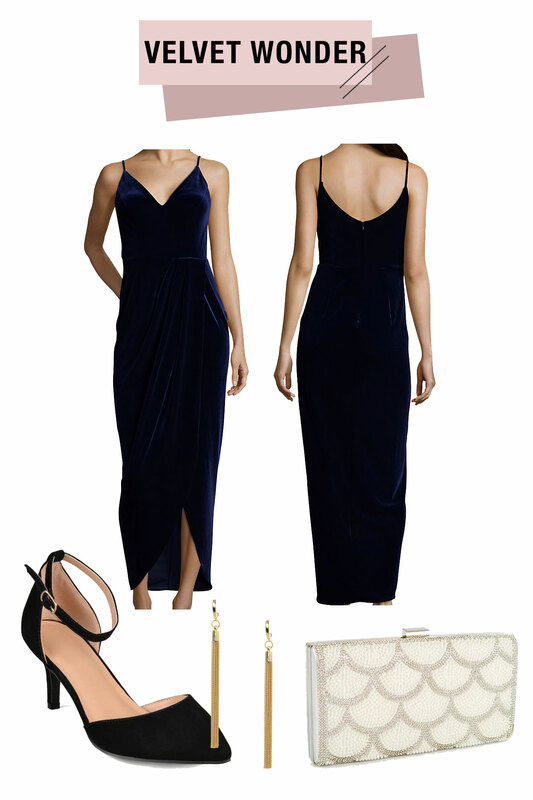 When the invitation says to keep it classy: Because when it’s cuffing season, nothing begs for cozy cuddles by the fireplace like a velvet sheath dress. When your unofficial 2019 motto is “shine bright like a diamond”: The unexpected flutter sleeve on this sequined dress is what won us over, but the bow on the shoe is a cloooose second. When Aubrey is your style icon always: French fashion never fades—that’s what makes it so chic! Have yourself un joyeux petit Noël as you rock that red lip and way on-trend beret. Convinced?? Shop all the pieces below and let us know your favorite look! This post is sponsored by Walmart.com. Thanks for supporting our sponsors!